The man who was hailed as a hero after finding Boston Marathon bomber Dzhokhar Tsarnaev in his backyard died Wednesday. He was 70. In the early evening of April 19, 2013, David Henneberry stepped out for some fresh air at his home in Watertown, Massachusetts, after Gov. Deval Patrick lifted a shelter in place order. He had noticed something amiss with his boat, so he went to check on it. At that point, Henneberry saw that some of the padding used to protect the boat's hull had fallen off. Once he lifted the wrap, he found Tsarnaev, bloodied and curled up inside the boat. The injured man had escaped a pre-dawn shootout with police that left his older brother and co-conspirator, Tamerlan, dead. Four days earlier, twin blasts killed three spectators and injured more than 260 others at the Boston Marathon’s finish line. 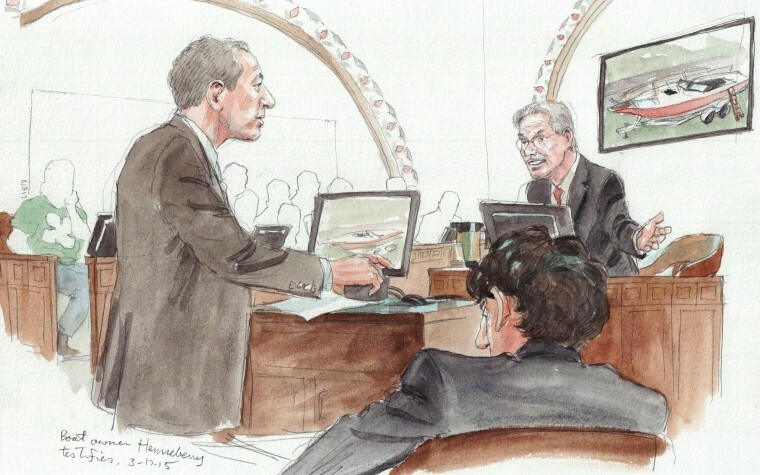 "My eyes looked on the other side of the boat and there was a body," Henneberry recalled at Tsarnaev’s 2015 trial. When asked by a prosecutor whether the body moved, Henneberry answered, "No movement at all." Henneberry said he “took it in for a split second, and I got off the ladder pretty quick.” He then called 911. Duffy said his stepfather did not initially realize the significance of his discovery, mostly because he could not get a good view of who was inside his boat. The former technician is survived by Duffy, stepdaughter Kelly Murray, as well as many other family members, including grandchildren and a great-grandchild. "If anything, we're incidental heroes," Henneberry told The Boston Globe in a 2013 interview with his wife, Beth. "We just did what we should have done."